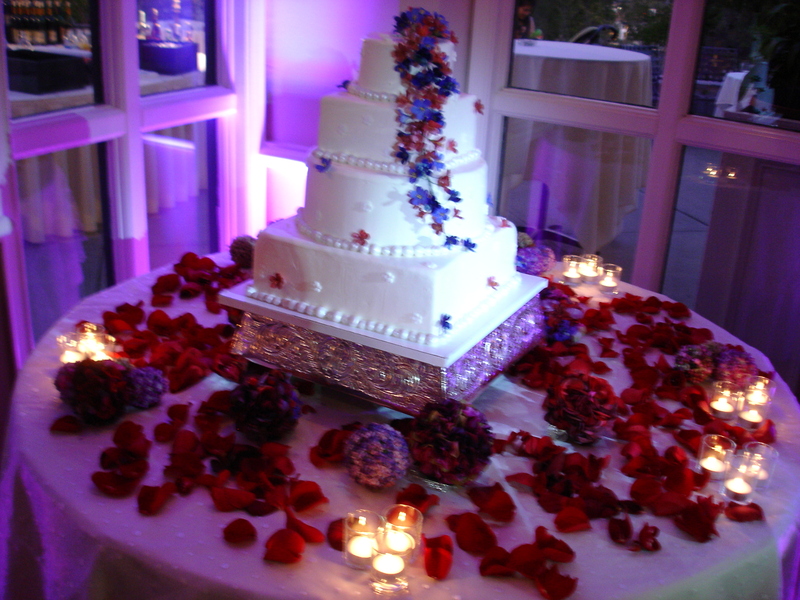 Laguna Beach Event Lighting Rental For Orange County, LA and the greater So Cal area. 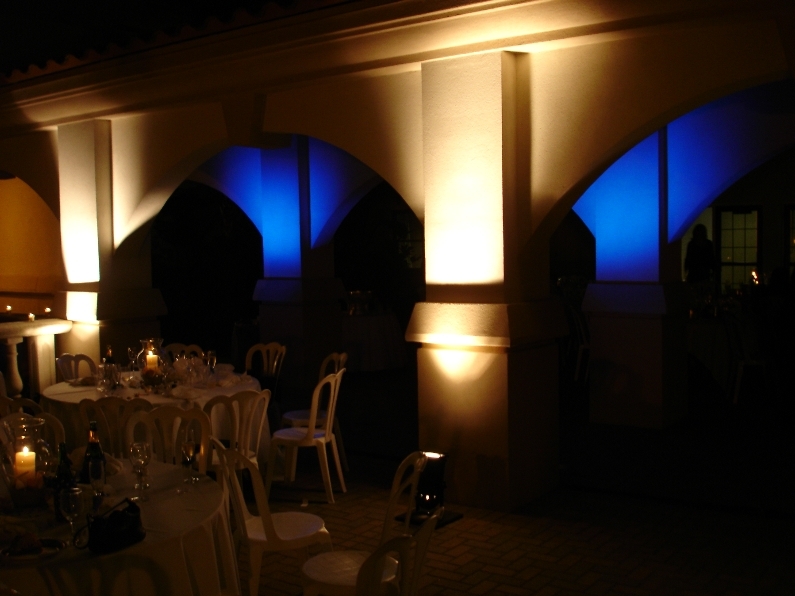 One of the most popular Laguna Beach Event Lighting Rentals are Uplights or "up lighting". 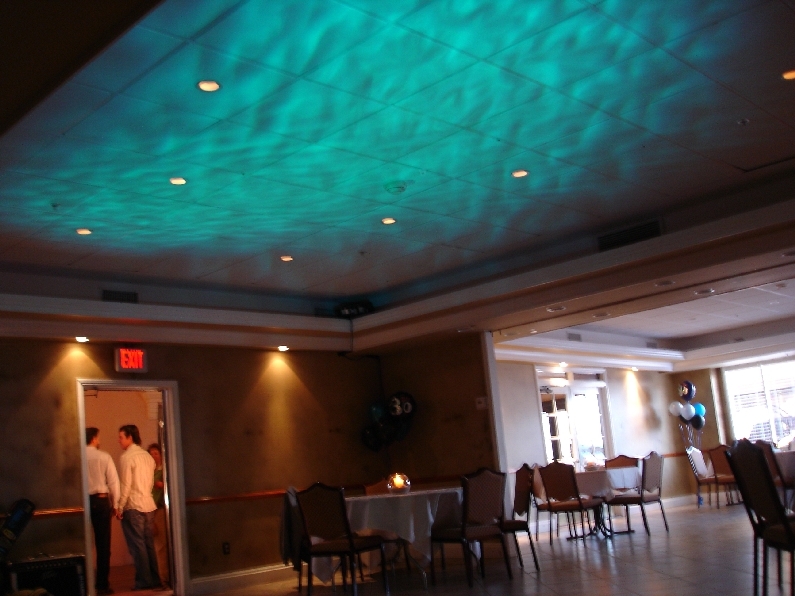 Creating colored beams of light on the walls of a location adds a fun party element. Uplighting is great in place of decorations, or to beautify on otherwise non-descript, boring or downright ugly room. Each fixture creates any color of the rainbow including the two most popular colors- purple and amber. Uplights are available in both Par Cans and the latest low wattage, bright, RGBA LEDs. Reflective aluminum vertical truss adds the "wow" factor to any event. It stands over 6 feet tall is lit with the color of your choice. Lighting fixtures can be mounted on top if needed. 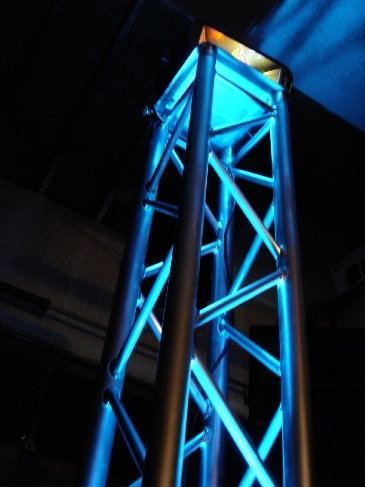 The Power Truss is an impressive way to add the Rock Star element to your party! Custom Message Gobos- put your name, personal message, monogram, company logo or any image/ text in light. 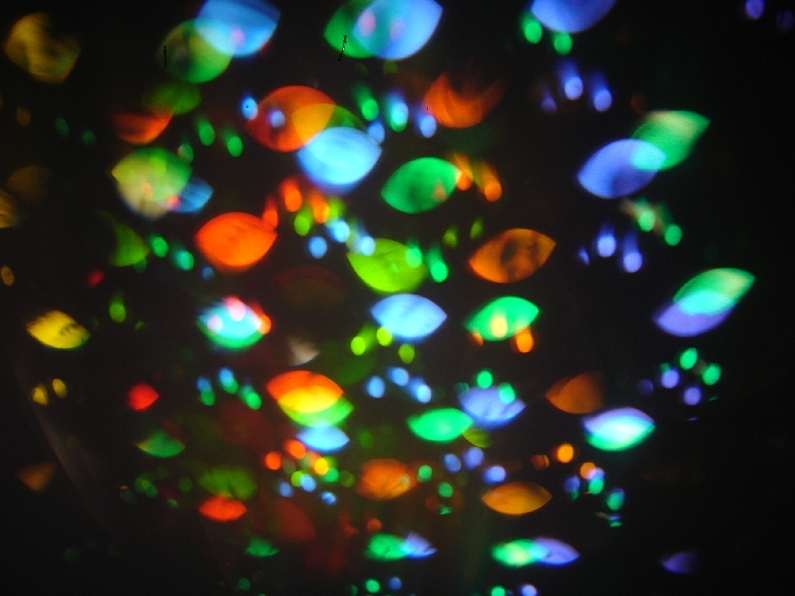 Gobos can be multi colored. Imagine your message bigger than life- up to 75 feet high or more. Image gobos are available in any theme. Patterns, cityscapes, signs, hearts, stars, snowflakes, etc. Bring the universe indoors with thousands of moving stars and galaxies on the ceiling and walls. The Starlight creates a night sky effect in any room. The illusion of flowing water on any surface- cascading waves ripple across the walls or ceiling! Can also be used as a fire effect. 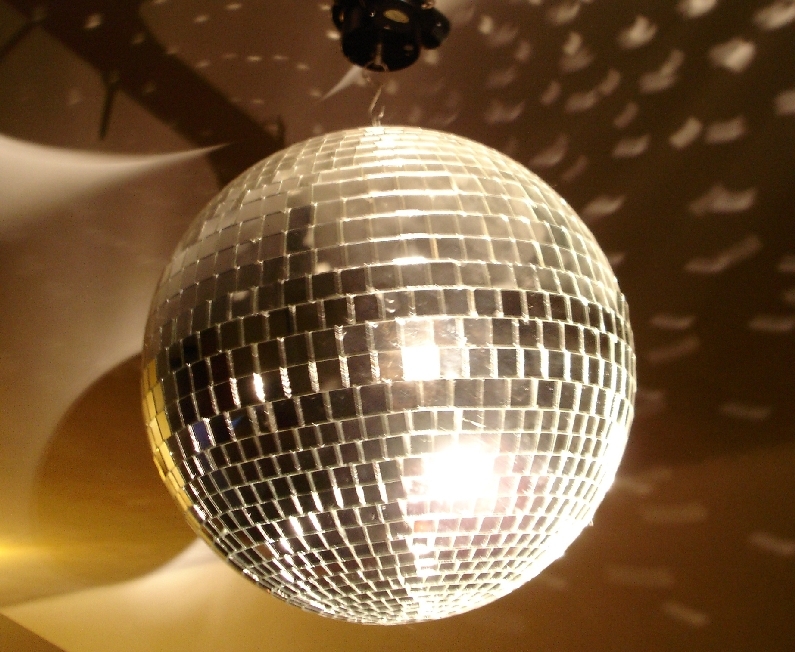 The iconic mirror ball proclaims â€œThe party is HERE!â€� Dance the night away as the magic ball spins and sparkles! 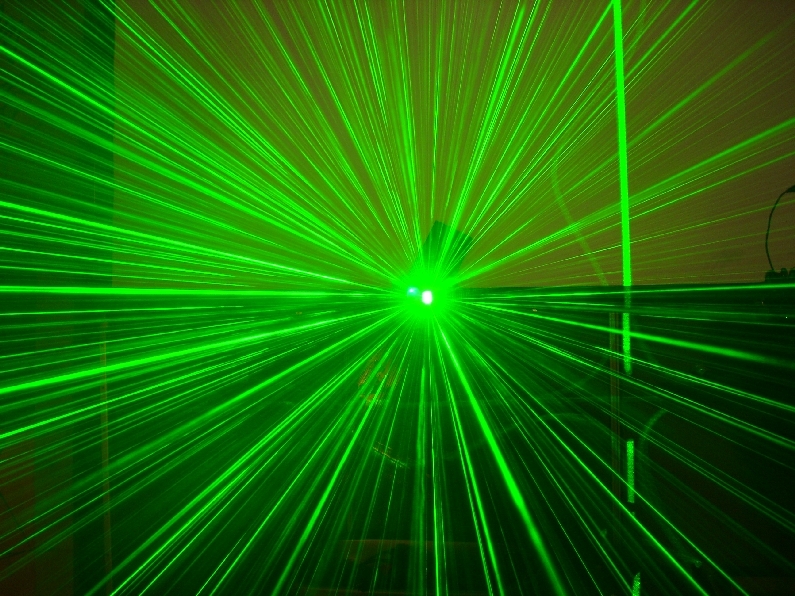 Sound activated scanners have multiple beams of light that move to the music. 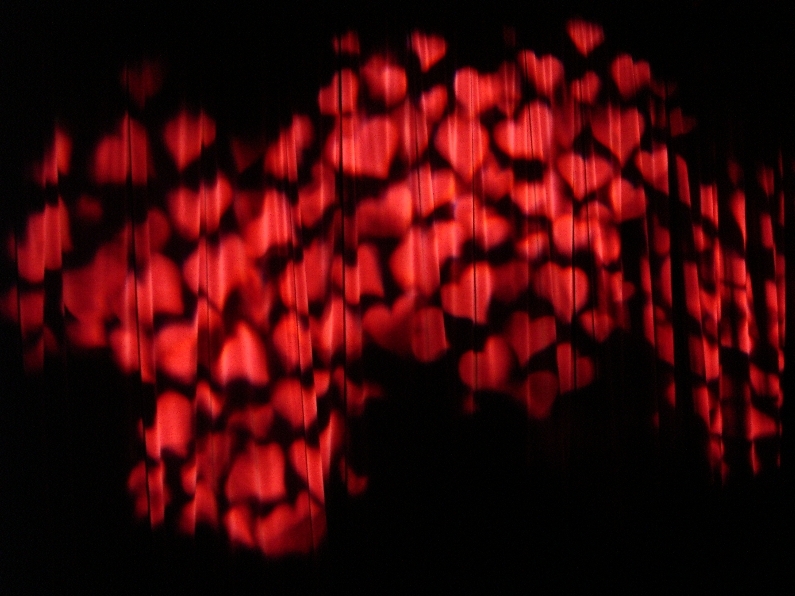 The beams are constantly changing direction, color and size, sweeping across a large area with every beat. Creates a Rave or Club effect in any space. Pin Spots can be used to highlight a small area such as a centerpiece, cake table, head table, gift table, mirror ball, picture frame, bar or stage. At Laguna Beach Event Lighting Rental we provide spot lights, led uplights, string lights, bistro lights, party lighting and pin spots. 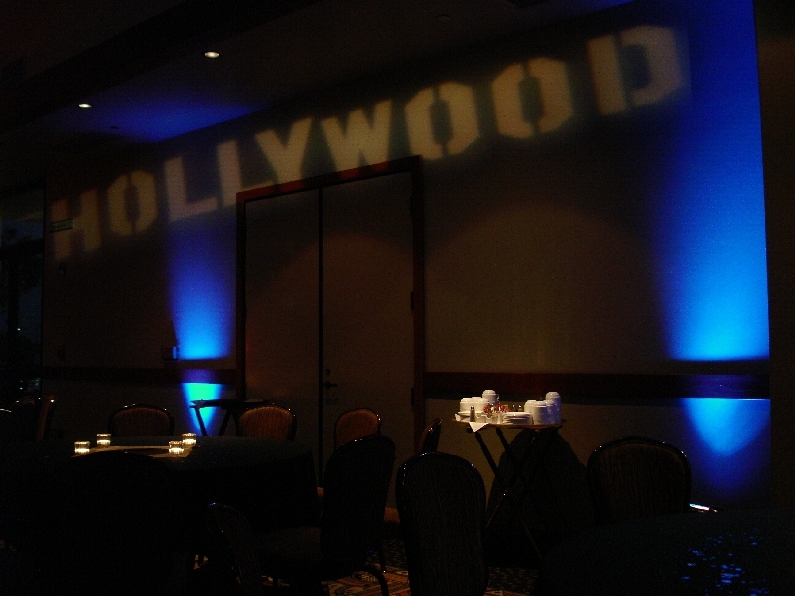 Special event party lighting effects rental for Laguna Beach audio visual rental.